In a travesty of blogger failure, I’ve managed to write a whisky blog for SIX YEARS without reviewing Ardbeg 10 year-old. I now right this egregious wrong with the following review. I beg your collective forgiveness. Ardbeg, that bastion of peat-freakdom, that Mecca of peat-worship, is one of the few distilleries that can print the phrase “not only the BEST of the Islay malt whiskies but THE BEST WHISKY IN THE WORLD” on its label and not be ashamed of the pretension and hyperbole. Of course, there is no such thing. The “best whisky in the world” is a concept that only Jim Murray believes in, because it sells him a lot of books. Still, Ardbeg is a solid contender for membership in the pantheon of best distilleries in the world, and many whisky aficionados would place it high on their personal lists. Many fellow noobs have cut their peat-teeth on this smoky monster, and it has ruined many of the same for other peated drams. For more, feel free to peruse my other Ardbeg reviews, including one of my all-time favorites whiskies: Corryvreckan. Ardbeg 10 is a relatively simple dram. It is Ardbeg single malt, using heavily-peated malt (55 to 65 ppm) from the maltings at Port Ellen (Ardbeg’s own kiln-fired maltings closed in 1977) and aged for at least 10 years in ex-bourbon barrels. The whisky is batched and bottled without chill filtration at 46% ABV. I’d like to point out that unlike many other whiskies *cough*Macallan*cough*, Ardbeg 10 has risen in price only $5 to $10 in the last six years, and is still just as good. That’s impressive. Thanks especially to Laura from The Baddish Group, who both reminded me that I have not reviewed this stalwart dram, and kindly sent me some. Thanks, Laura! Nose: Pungent. A hint of lemon precedes a torrent of smoky peat. The peat is redolent of campfires, with toasted wood, charcoal, woodsmoke, and smouldering dry grass. Beneath the peat is a subtle layer of vanilla and brine. Palate: Full-bodied. A tinge of sweetness greats the tongue, of pure malted grains and oaky vanilla. This is quickly obliterated by smoking hay, dry seagrass, slightly bitter charcoal, and dense, woodsy peat. While the flavors are intense, they are also very well-balanced, and the tongue burn is minimal, considering its robust 46% ABV. One could contemplate this smoky complexity for hours. Finish: Very long (I will be tasting Ardbeg on my lips and tongue throughout the evening). A swath of bitterness is balanced well by a resurgence of malty, nutty grains and a strong spike of anise and black pepper. This all fades together, leaving a fugue of grassy, boggy peat and smoke. With Water: A few drops of water initially mute the nose, so give the glass a few swirls and a rest before nosing again. The water seems to unbalance the alcohol burn and peat component, making the aroma sharper and more one-dimensional, although I get some buttery oak now. The palate is tamer and sweeter, but the balance still seems off. At 46%, this does not need water. I recommend keeping it neat. Overall: I’m often struck by the differences between Ardbeg peat and Laphroaig peat. The former is all about smoke, and the impression is of a distant wildfire, pervading everything. The latter is all about the sea, with brine and seaweed and iodine. I can’t say which I prefer – I’m alternatively in the mood for either – and I can’t say that either is objectively better. Still, the essence of Ardbeg is control over chaos – an impressive feat considering the wild force of nature that peat becomes in the glass. Ardbeg is both masterfully constrained and wildly flavorful, the kind of whisky that makes you realize why people like smoky flavors in scotch, and also reminds you that the Scots have been perfecting this style for hundreds of years. If you haven’t had Ardbeg 10, there’s really no point in reading about it. You must experience it to complete your training, young padawan. If you aren’t sure you like peat, though, consider just buying a glass, neat, first. 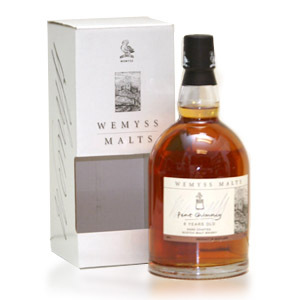 If you find you like peat, you cannot go wrong by owning a bottle. Acquired: (review sample) Thanks Laura! I’d also add Lagavulin in that same breath as Ardbeg and Laphroaig. Depending on the mood, it’s a pick of one of these three. I wish it was still possible to find it under $100 here (Colorado), I recently found it in Germany for 55 Euro…. Same story for Talisker and Oban..
Cedric – Come to my small specialty bottle shop in Meeker, Colorado. I sell it here for under $100. Also Macallan 12 year, Bruichladdich 10 year & Speyburn Arranta. Laphroaig10 is avaible for 30$ sometimes. I find it in Denver for $40-$60 on a regular basis. For me, these peated scotches are winter drinks. After shoveling or working outdoors in the cold, I can enjoy the nice bite of brine and campfire ash. But in the summer, I tend to favor the sherry style scotches. I have a bottle of Ardbeg 10 waiting the first real cold snap to settle in. “Must Have” indeed! I’m hoping Santa has Ardbeg in his bag. I’m so happy to see that you finally reviewed this great malt. It’s not only the best Islay malt, but is one of the best entry level malts I have ever had period. 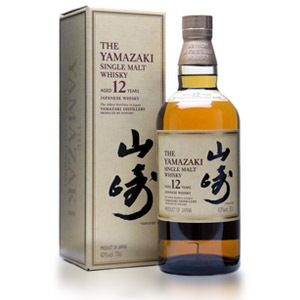 In addition to tasting this good, it may just be the best value in Scotch Whisky as well. I used to feel the same way when it comes to Ardbeg vs. Laphroaig, but I now only buy Ardbeg. That’s not to say that I won’t drink Laphroaig at a bar, and I would certainly appreciate a bottle as a gift. I really enjoy your reviews and you and I generally see eye to eye (the few exceptions are that I think Glenmorangie 10 is worlds better than Glenlivet or Glenfiddich entry levels, I love every Glenfarclas I have ever had and I think Old Pulteney 12 should be a must try at the least). Isn’t this the thing that makes whisky great? The way that two people who see eye to eye can disagree or see something completely different in a dram. Sometimes two people can even love the same whisky for completely different reasons. Keep up the good work! Ardbeg 10 vs Talisker 10? Also very different. Talisker is spicy and peppery and brooding, with the salt notes associated with seaside peat, but not the seaweed/iodine notes, which makes it more approachable. I find it less “smoky” than Ardbeg, while still being just as earthy. If I could only have one <$80 peat slot in my cabinet, I would literally rotate it between Ardbeg 10, Laphroaig 10, Lagavulin 16, and Talisker 10. I don’t really think of Springbank as heavily peated, like Talisker and the Islays. It does have an objectively high level of peat, but the effect is more “background”, to me, with the emphasis on the barley, and that interesting sooty quality that Springbank has. Regardless of the actual numbers, Springbank occupies the “half peated” category in my mind, like Highland Park (which is, due to its sherry content and non-coastal peat, much different as well). I agree with that. I think Talisker is the most peat heavy that was not an Islay I’ve ever had. I see Highland Park as “softer” than Springbank but also similar. Wouldn’t it be great to have unlimited funds to run out and buy a bottle of each for a tasting comparison every time someone poses one of these questions? Rotate?! I always keep a bottle of the first three. They are all different enough where they aren’t really substitutes for each other. Guess i’ll have to get talisker in my cabinet as you seem to mention them all in the same sentence. My personal ranking: 1) Lagavulin (by a fair margin), 2.) Ardbeg, 3.) Laphroaig. Funny thing is that is they rank in price; but that just goes to show, you get what you pay for. The Lagavulin and Laphroaig are both available at the local Costco which is awesome as the prices can’t really be beat, especially when Costco drops the Lagavulin under $60. I’m replying because your post is only 2 months old. Regarding your comment about Lagavulin being “the best” and “you get what you pay for” I couldn’t disagree more. I bought a bottle of Lagavulin back in March this year for $65. While this may have been a fine malt in years past it nolonger is and I wonder how long it’s been since you’ve had a dram from a recent bottle. I’m here to tell everyone don’t waste your money on a name brand that just doesn’t deliver anymore. It’s not a “peat monster” like Ardbeg 10 and Laphroaig 10 which are $20-$30 less a bottle. And it’s pretty one demensional with a very lackluster finish. It’s just a bad Malt now and I can’t even finish the bottle. Conversely Ardbeg 10 is my favorite entry level peated Scotch. It’s more complex than the Laphroaig 10 with a much longer and enjoyable finish. The Laphroaig 10 is great for the money though (usually $10 cheaper than Ardbeg 10). My final point is I prefer Ardbeg 10 and Laphroaig 10 over the current version of Lagavulin 16 and it’s not close. Kilchoman Machir Bay is also a very good peated malt (not as peaty on the nose) but after letting it open up for 15-20 minutes solid/complex dram for under $50. If you want to spend $65 on a peated malt just go full tilt and spend another $10 and get a bottle of Corryvrecken or Laphroaig Cask Strength… Can’t go wrong with either one! 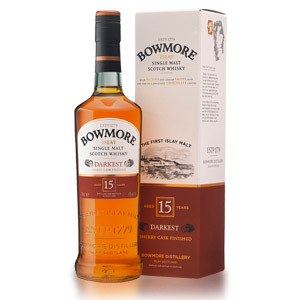 I am following your reviews for ages from 2013.. First review which pushed me to ISLAY Laphroiag and Lagavulin.. You did not like super high peaty or coloured version of whiskies.. FInally you have made it. Its a 6 year delay right.. I would have had about 20 bottles till now…I drink it neat on a windy rainy day or winter peak in Melbourne with KETTLE CHILLI CHIPS.. I always stick on to your MUST HAVE words and I have not bought ABUNDAH ARBELOUR till now.. I am stuck with ISLAY ONLY.. I am following you in TWITTER- HAPPY NEW YEAR 17. Just curious, what is it about islay’s peat people feel attracted to? I have been a single malt snob for some years now and also I big fan if this site. But I just do not enjoy peat. I find it repulsive. Been drinking my first bottle of laphroig 10 for the last week because it’s been called a good peat whisky here, trying to understand, but just not seeing the appeal. Honestly curious , what is enjoyable? Hard to say, really. Peat is definitely an acquired taste, and some people just don’t like it. I find a similarity between peated malt and heavily smoked food, like smoked salmon, which I enjoy. I also like the earthiness of it, and the balance between sweet/smoky. Finally, there are a lot of similar flavors with good hand-rolled cigars, which are also earthy but have a good balance of sweetness. Don’t sweat it if you don’t like peat, stick to the whisky you like! I’m hoping it’ll grow on me. I want to enjoy all scotch evenly and appreciate the differences. Also curious, have you tried any of the Macallan fine oak series? Conclusion: It’s good whisky, in isolation, and priced well, but it tastes like what it is: Macallan minus sherry. Per your review I picked up a bottle of Ardbeg 10 ($50) to sip for the new year. Very happy to see they included a sample size bottle in the tin packaging! Holy Smoked peat! I love the strong peat presence and the sweet finish. I usually enjoy food and drink with flavor “potency”. Such as smoked/red and black peppered meats. Chocolate stouts, sardines and anchovies, black chicory coffee ..etc. As a Scotch Noob, the Ardbeg 10 Fits the bill….one of the best I’ve had and tastes like it should cost double what they charge. I like it neat with one ice cube. Cheers! Love Ardbeg 10. I am enjoying Laphroaig 10 now, but it seems sweet compared to Ardbeg. Finished the Laphroaig, and definitely cast my vote for Ardbeg 10. I enjoy the sweet touch of laphroaig10. Prefer it over the quarter cask. Ardbeg 10 is $1 more ($45.95) here in Ohio than Laphroaig 10. Just got a bottle of the Ardbeg. It’s not a sweet as the Laphroaig. We’ll see how things are in a few months having opened the bottle. Have tried several scotches and haven’t really liked them until I tried the Laphroaig 10. As the first Islay I tried, I’ll always have a soft spot for Laphroiag 10 – but Ardbeg 10 has supplanted it as my favorite everyday peat monster. I’m glad to see you’ve finally added it to your catalog. A while ago I commented on not liking peat. But I have drank a few different bottles of laphroig, a bowmore, and even though it’s not islay talisker 10 and storm, and just uncorked my first ardbeg 10. It is definitely one of my favorites of the peats, even though I now love them all. Glad I stuck it out, and glad you do reviews. I love Laphroaig and am all about peat and smoke. Only problem is that my palate has adjusted over time, and I don’t find the Laproaig 10-year or Quarter Cask to be as overpowering as I used to. That’s a bad thing. I enjoy a bonfire in my throat. I think I’m going to pick up an Ardbeg today and give it a try. Torn between the 10-year and the Uige-however-the-hell-you-spell-it. To the guy who talked about not liking Islays … to each his own. I can barely tolerate Highland single malts and gave away a bottle of Glengoyne 10-year because I couldn’t stand it. My first Islay transformed the whole idea of Scotch for me. Now I’ve got a couple Highlands and a Speyside collecting dust while my Islays empty too soon. It’s all a matter of personal preference. I suggest the Ardbeg 10. It’s more classic, cheaper (most places), and you don’t get the muddying effect of sherry, like the Uigeadail has. There are also widespread reports of the Uigeadail being substantially worse than it was when it became popular… as in, if it were released for the first time now, it wouldn’t be nearly as well-received. I never got to try “old” Uige, so I can’t say that for sure, but I definitely prefer the 10 to the Uige, and I prefer Ardbeg Corryvreckan (more $$) to both. My recommendation: Buy a bottle of the 10, then a bottle of the Corry, and then find a bar to try a glass of the Uige to see how it falls for you. Cheers! So, what is the reason for the mentioned Macallan prices then? Not sure I understand the question – I mentioned Macallan in the review to illustrate that while Macallan (and many other producers) have increased prices drastically in response to increased market demand, Ardbeg has not… or at least, not nearly as much. Good on Ardbeg (and LVMH). I’ve only been delving into scotch for a little while, I am using this blog site as a decent road map and am grateful for its existence. I have been heavily favoring the Islay Single malts..(I like smoke) though I have also branched off to Glenlivet and Jura. I found this to be a nice, smokey drink in the evenings. My last bottle that I drank was the Laphroaig 10. That being said, I also found Ardbeg 10 to be a bit one dimensional after having the Laphroaig 10. It’s worth the money to be sure.. maybe I like the complexity of Laphroaig more? Where I buy booze, the Laphroaig was also cheaper. To put it into perspective, the Ardbeg 750 mL bottle here is 55-60 dollars, Lagavulin 16 yr is 85-90 dollars for a 750mL bottle. The Laphroaig 10 is 45ish a bottle. I did a side by side comparison last month with Laphroaig 10 and Ardbeg 10. I even had the Laphroaig first but after trying the Ardbeg there was no question it was better in my opinion. It’s more complex and has a longer finish than the Laphroaig. We also had the current version of Lagavulin 16… Save your money because it’s the most overpriced “peated” Scotch out there. It’s not a peat monster anymore, one demensional and you can actually taste the carmel coloring (not a good thing!). 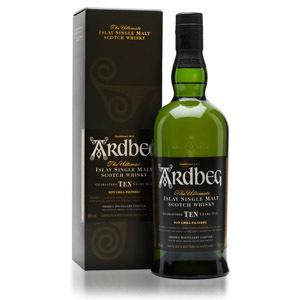 At $44 locally Ardbeg 10 is the best peated Scotch for my money! I had to buy two… Unbelievable deal!!! I decided to start my peated single malts journey with Talisker 10 after being introduced to a cocktail that was mainly Famous Grouse Smoky Black and lime juice. The smoke came through nicely. I then got Laphroaig (Four Oak) which I enjoyed. Moved on to Ardbeg 10 and Lagavulin 16 on the same day. Tried the Laga first. Suffice it to say, I found Ardbeg rough. Even gave away my 1 litre bottle because Ardbeg just wasn’t giving me the rich mouthfeel of Laga or the constantly mutating smoke and fruit of Talisker (at the time). The Lagavulin ruined the Ardbeg for me that day. A friend then got me Ardbeg 10 instead of Caol Ila 12. Needless to say, I wasn’t too thrilled. Till I tried it on its own. I generally don’t add water to my dram. I want to get the full impact of what the distiller thinks is her or his best work. This one is a master stroke. It honestly numbs my tough when I go for it like a tequila shot but when taken slowly it is just remarkable. The sweetness really comes through and that delectable smoke lasts very long. This is a drink to be savoured. I would recommend that you give this to someone who likes strong flavours and I would also add that they shouldn’t have had anything else before taking it. 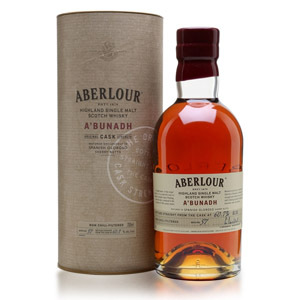 It’s strong and well-rounded and a great dram for those who may not want the genteel typical Speysider anymore. I have now learnt not to give away bottles. Except for Clan Macgregor and the Grant’s blend that comes with a glass. Those don’t seem to go well with anything.